Soft and breathable, make your little baby so cute and adorable. Great for daily wear, birthdays party , playwear or photograph. Suitable for girls aged 3-10 years old. 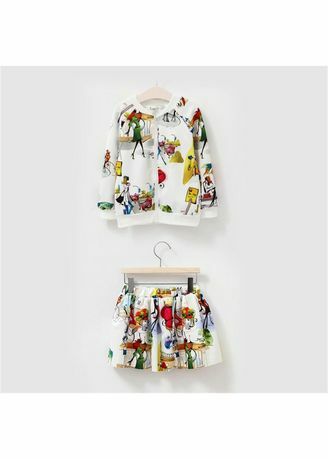 Printing long sleeve two-piece set, fashion and lovely. Zipper coat and short skirt suit, easy to wear and take off. Made of quality material, wear comfortably. A good choice for your baby girls.